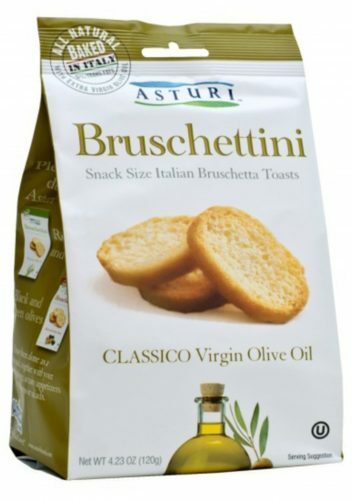 Our all natural Asturi® Bruschettini – bruschetta toasts are baked using only the highest quality olive oil and a sprinkle of sea salt. 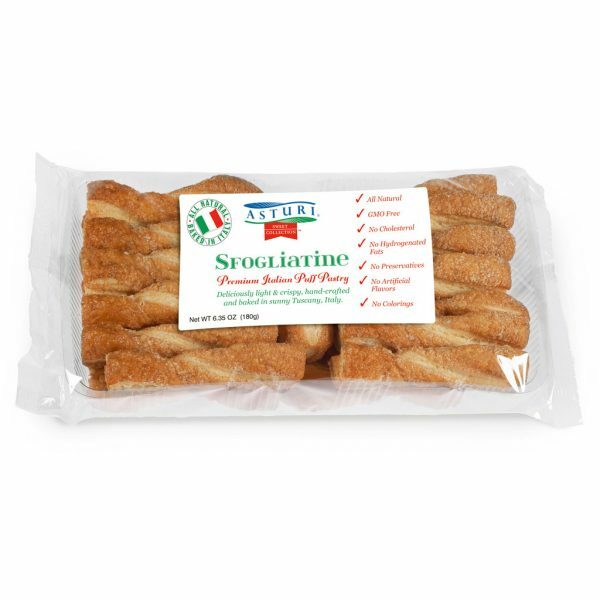 They are the perfect snack all by themselves, or topped with almost anything, a great appetizer for any occasion. 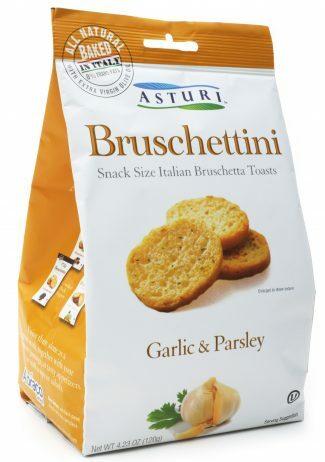 With their enticing flavor and toasted to perfection, Asturi® Bruschettini are a little bite of Italy. 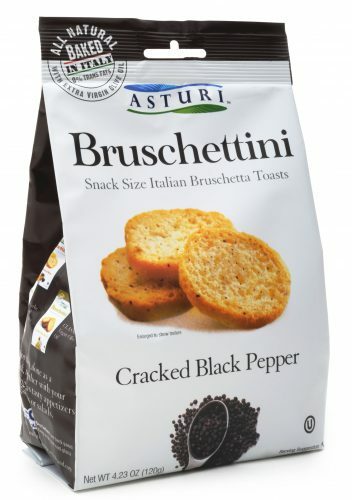 That’s because each Asturi® Bruschettini is baked in Italy, using age-old artisan recipes and all natural ingredients. 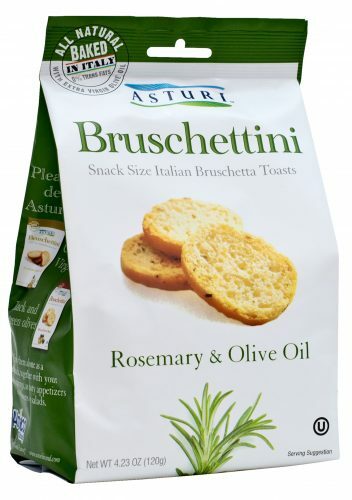 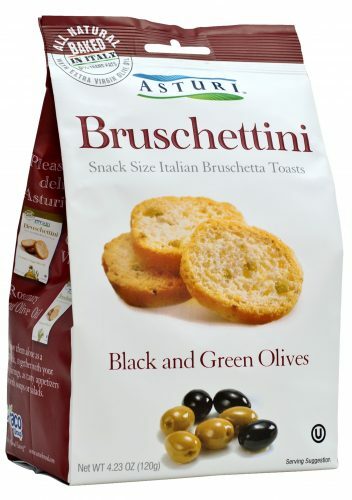 Our Asturi® Bruschettini contain no preservatives or artificial flavors. 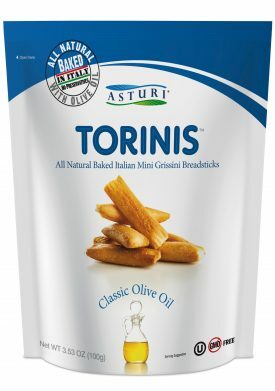 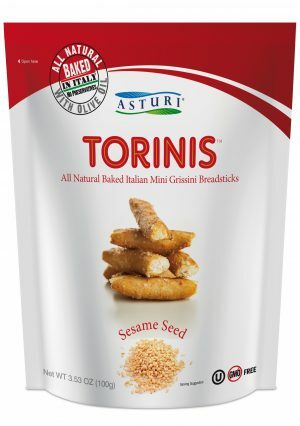 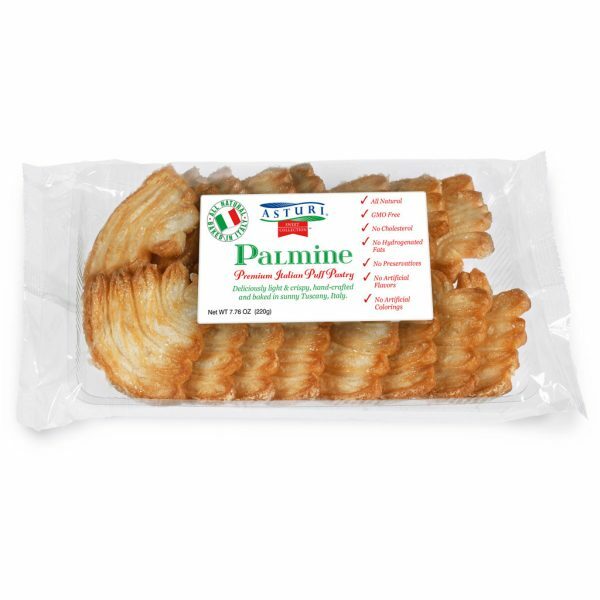 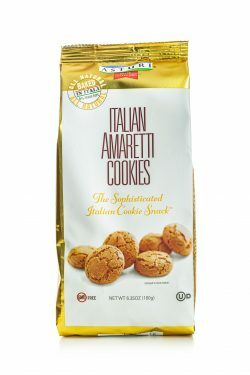 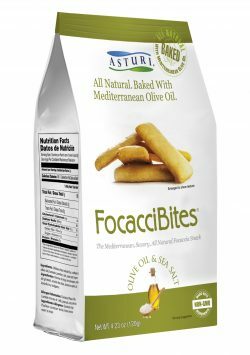 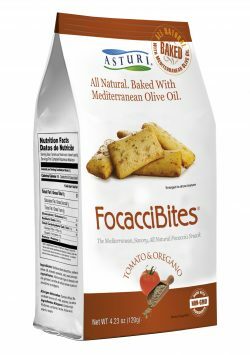 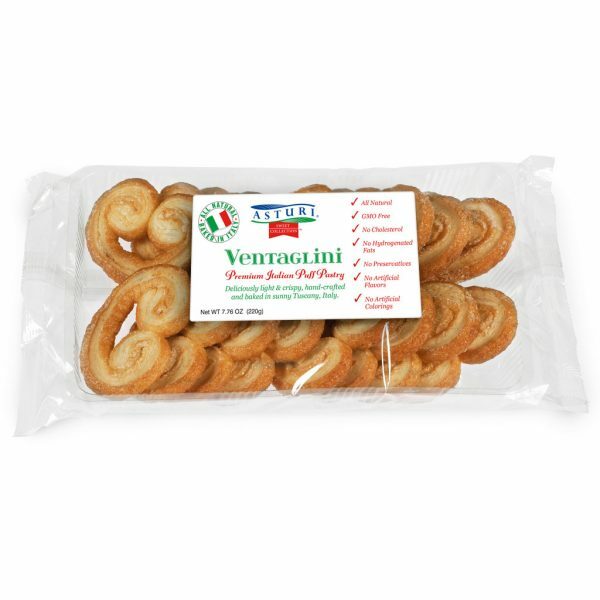 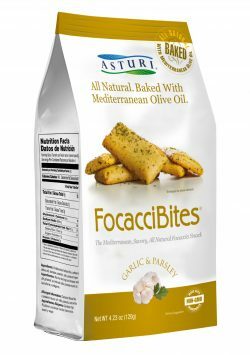 Ingredients: Unbleached wheat flour, durum wheat semolina, olive oil, extra virgin olive oil, sea salt, yeast, barley and corn malt extract, sugar. 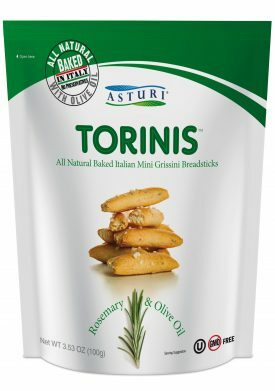 Contains: Wheat, gluten.